This painting by Schreyer, one of the most esteemed Orientalist artists of the 19th Century, is notable for its powerful, evocative depiction of warfare. Adolf Schreyer was one of the most successful Orientalist painters of his generation, and this painting is one of his most characteristic and perhaps finest works. 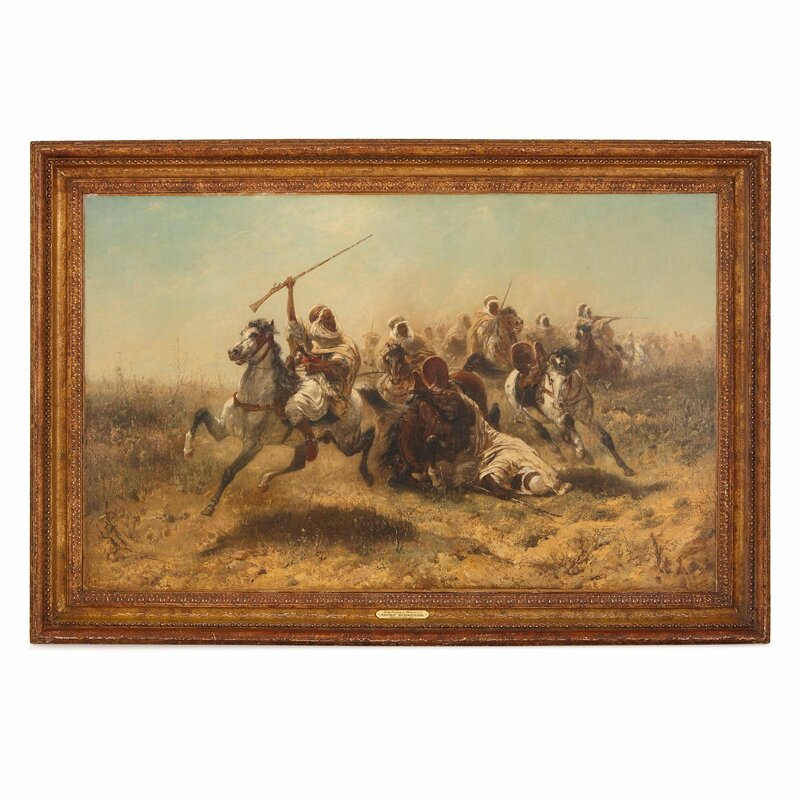 Schreyer was best known for his beautiful, emotive depictions of Arab soldiers and horses and it was this which made him a firm favourite painter of many elite European and American families in the second half of the 19th Century. 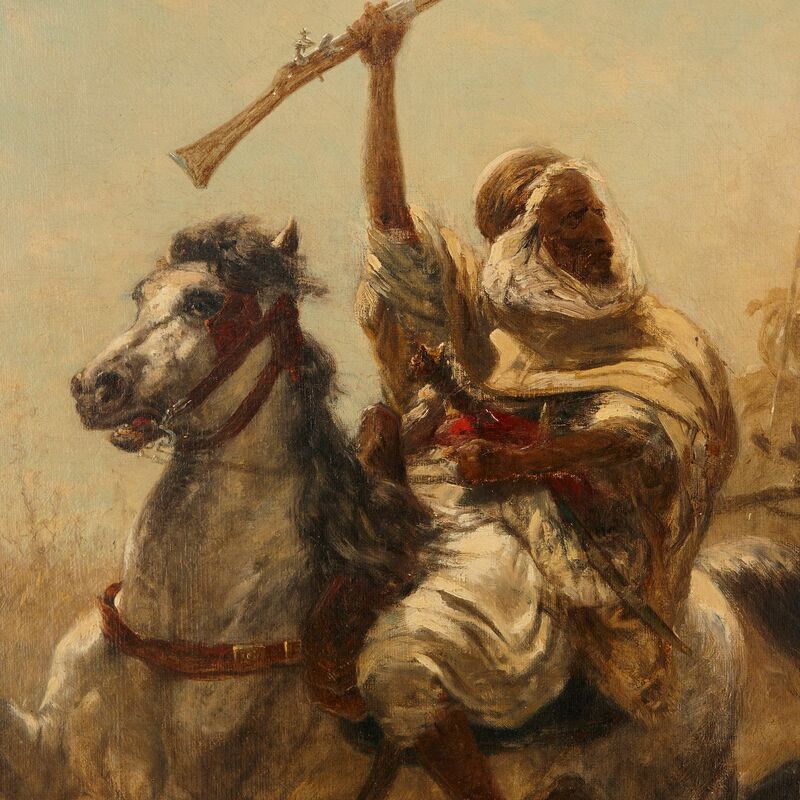 Schreyer had travelled many times to the Orient over the course of his career, and the present painting was inspired by his travels in Algeria during the 1860s, during which he lived with Bedouin tribes and worked as an 'artist-reporter' in the regiment of the Prince of Thurn and Taxis. It was here that he developed his distinctive painting style, using a rich, vivid colour palette which reflected the sensual beauty of the North African landscape. 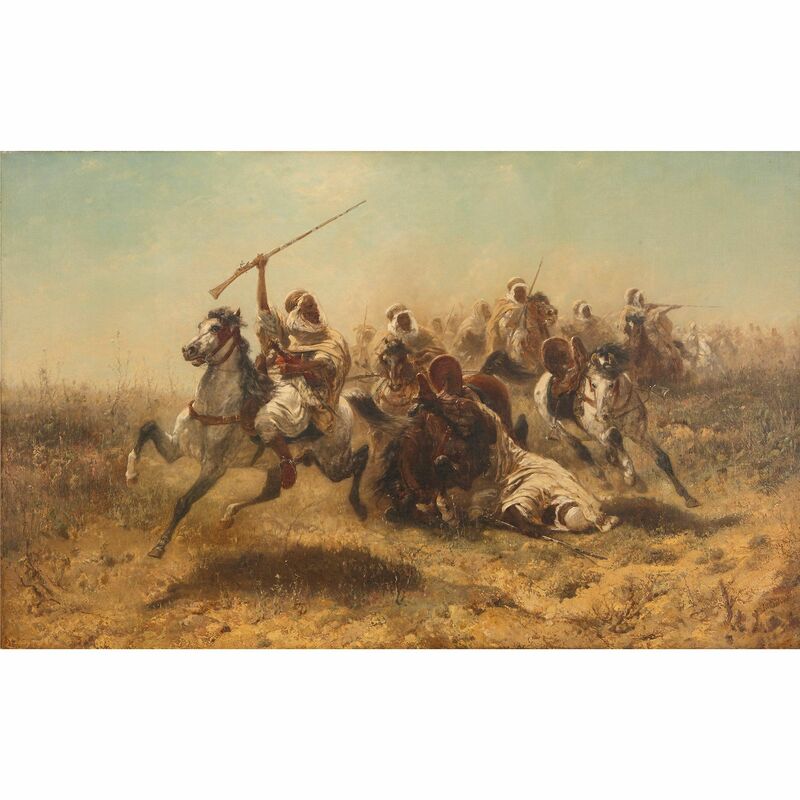 The painting dates from 1869, in the period immediately leading up to the 1871 Algerian Revolt against the occupying French forces. 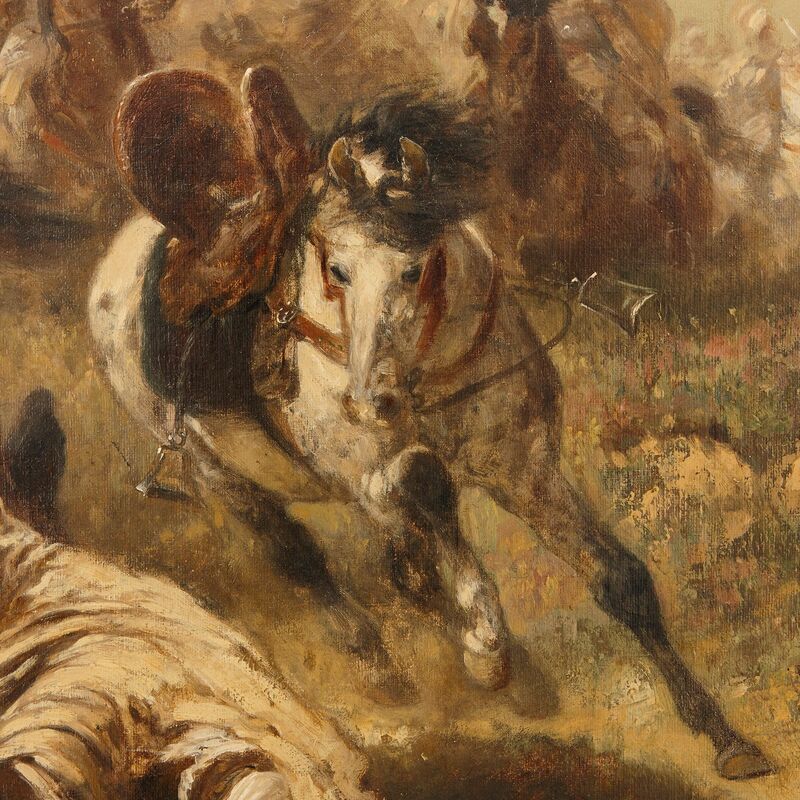 It shows a troop of Algerian cavalrymen riding across the rough terrain, holding their weapons in the air. The scene has been rendered with a combination of painstaking attention to detail and more impressionistic techniques, combining to create a powerful effect. Schreyer created this work after a series of paintings he had exhibited at the Paris Salon in the 1860s. 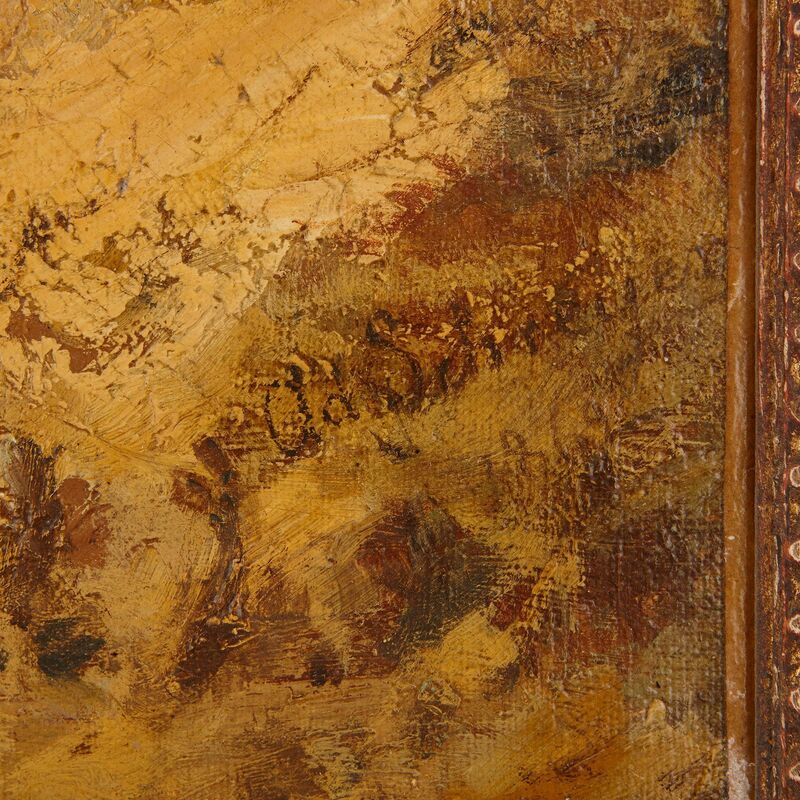 It is set in a finely carved giltwood frame, and the canvas is signed and dated to the lower right 'Ad. Schreyer / 1869'. 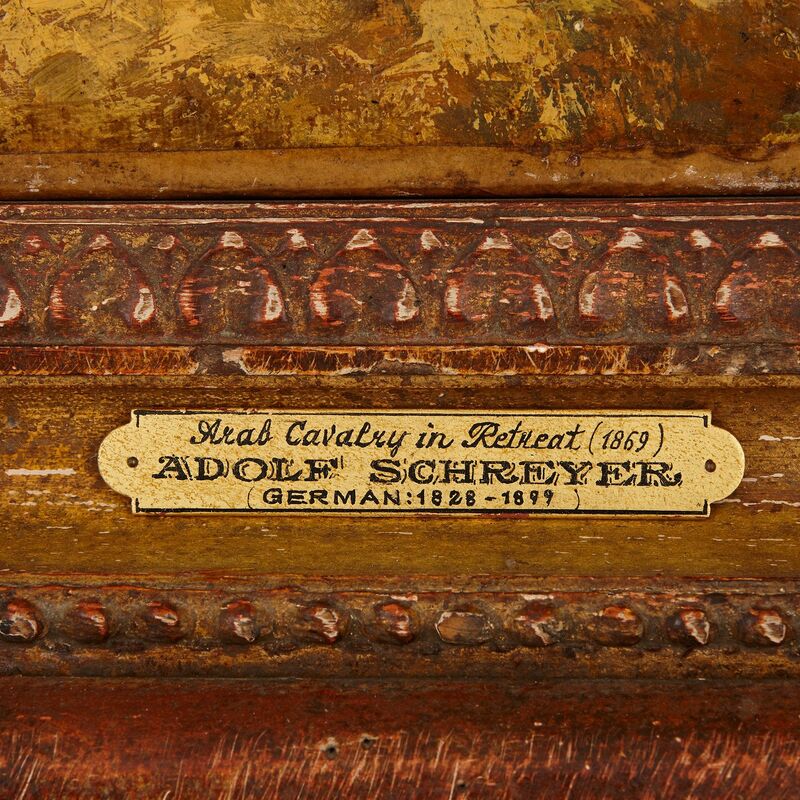 There is also a plaque at the bottom of the frame, reading 'Arab Cavalry in Retreat (1869) / Adolf Schreyer / (German: 1828-1899)'.